Google analytics is one of the leading analytics solution to measure traffic. This tool not only helps you analyze your traffic but also let's you understand how to improve your SEO campaigns. It collects a lot of traffic data that can be helpful for improvement of your website. Here's short guide on understanding how to use google analytics. 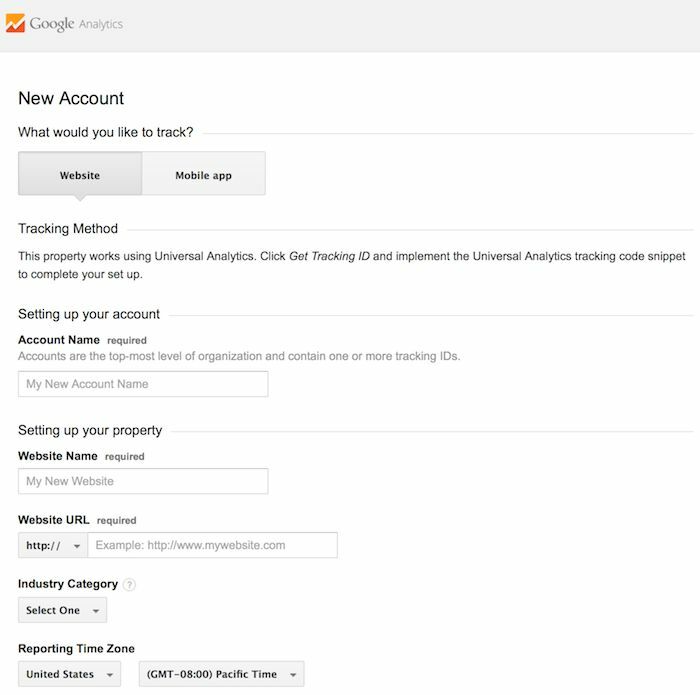 Follow the steps below to setup the google analytics for your website. 2. Sign in with your gmail username and password. 3. First time account setup will prompt you through wizard. 5. Add website or app details in the account details. 6. Get the tracking code. The code that you got in earlier step needs to be placed inside your website. You can choose either header or footer placement for this code. Make sure that the place you choose for this code appears recurring on all pages of website. For example footer or header is often constant in all the pages of the website. So you have to place this code in the same region. 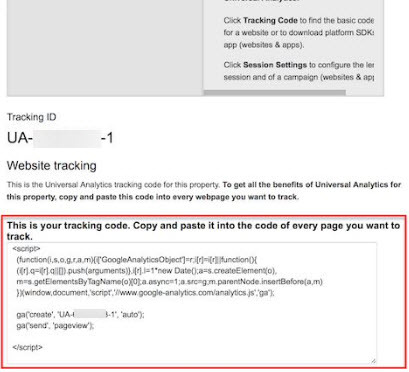 If you are using WordPress, then you can track Google analytics plugin. 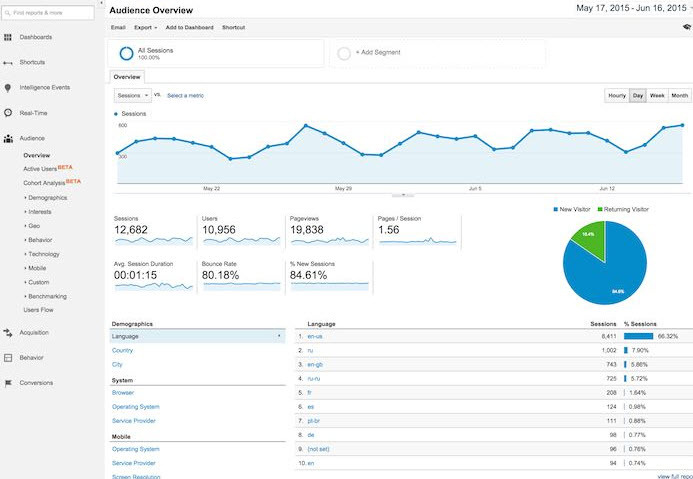 And this can even show you the google analytics stats on the dashboard. If you are using the genesis or the Divi theme then you get the option for the Analytics to be included on your WordPress. It takes around 48 hours or more to get some decent data. If your website has more than 100 visitors on website from around the world, then you get very detailed data. You get their browser name, IP and even how much time they spent on the page. Some of the data for entry and exit pages can be helpful for improving your website. You can improve keywords and also focus on more in depth content to improve bounce rates. By default you get page impression, overall daily traffic, bounce rate and geolocation. You can also export this data locally in CSV or PDF format. For those who are into SEO service can help their clients understand how website is performing. If you are into social campaigns, then this data can help understand bounce rate and audience retention on your content. You can then tweak your content accordingly. As you get more traffic on website, analytics will collect more data. And this helps you understand more about visitor patterns. It can also be helpful to learn how to setup conversion. You can also setup various data points. But it takes time to learn these advanced reporting skills. Learning google analytics can help you in many ways. If you have followed this guide then you have taken one step towards understanding your website visitors. There is a lot more to learn and you have to explore this through YouTube videos and guides. I bookmarked this one and will visit my Google account and see if I can make sense out of my websites. This was applicable 2 years back. I posted this in 2016. As you can see dashboard is changed a lot. So you may have to find your way in and out. They may have changed the dashboard but I'm sure the basics that you have outlined are still the same. Whats In My Kitchen • Total Clicks: 51,847 • Total Links: 38 • Add Your Link!